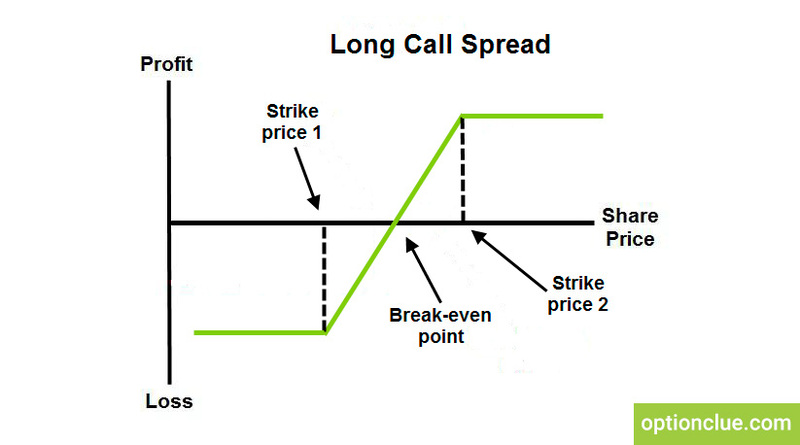 Long call spread is the option strategy with limited risk and profit, which lies in the simultaneous buying and selling call options on one asset with different strikes and the same expiration. Long call spread is usually used when an investor is bullish on the market, but there are some doubts on the price movement potential above the certain price level. For this purpose, he buys a call option to earn profit from the upward movement and sells another call option with the strike at the strong price level that the market will hardly break. Moreover, this strategy allows an investor to decrease the premium paid that will be less than in ordinary long call option (due to the profit from the call option sold). Suppose, we run the long call spread by buying the call option for $3,5 and selling another call for $1,5. Strike prices of these contracts are $90 and $100 respectively. The net premium paid is ($3.5 – $1.5) * 100 = $200. The break-even point is $92 ($90 + $2). Thus, we make profit if the stock price exceeds the price mark of $92. The maxim profit occurs when the price rises to $100. It won’t increase if the price rises above this price mark. At the same time, we’ll lose money if the price goes lower than $92. 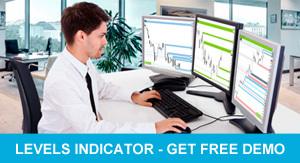 The maximum loss is limited to the net premium paid, that is $200 ($2 * 100). It may appear if the stock price is below $90.